Mini has revealed the 2017 Countryman which will be showcased at the 2016 Los Angeles Auto Show scheduled to take place on November 18 at the LA Convention Center. 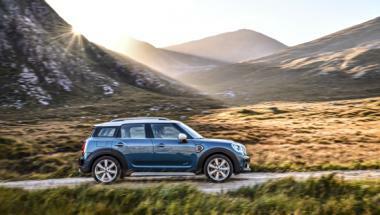 The 2017 Mini Countryman gets a new design which has made it larger than before. It now measures 200mm longer at 4,299mm and 30mm wider at 1,822 mm than the previous model. It debuts in the European market in February 2017. Deliveries will begin from March 2017, and we expect Mini to get the new Countryman in India as well sometime by the end of next year.